Is it just me or are all moms ready to be done with school? I think I may have totally checked out. I was talking to my son’s kindergarten teacher yesterday, she was telling me she is pretty sure that every one of her students has already checked out for the year. Well, I believe it because I am pretty sure that I have checked out. We had such a long winter around here and now it is finally warming up outside, everyone just wants to enjoy the outdoors. The neighborhood pool opens up Memorial Day weekend and that’s just about all any kid (and myself) is looking forward to. Unfortunately I better check back in, my kids have school through the first week of June. 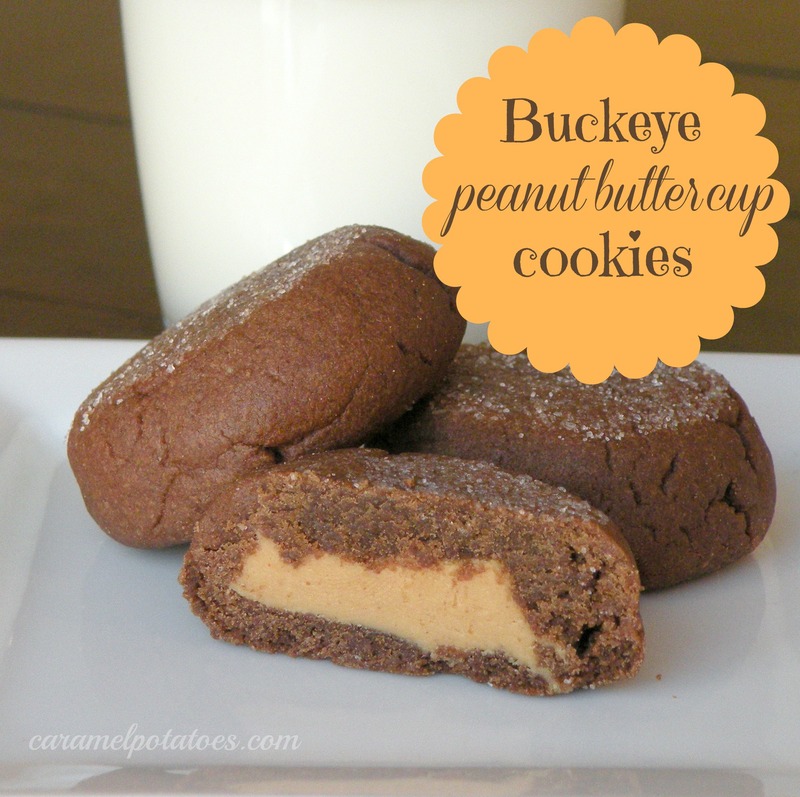 Since sometimes we can use a little treat to make life a little sweeter, what better than these Buckeye Peanut Butter Cup Cookies? They perfectly melt in your mouth, filling it with all the goodness of chocolate and peanut butter. What’s not to love? Preheat oven to 375. Whisk together first 4 ingredients in a medium-sized bowl. In a separate bowl beat together sugar, brown sugar, butter and 1/4 cup peanut butter until light and fluffy. Add vanilla and egg, beating to combine. Stir in dry ingredients, blending well. Set dough aside. Stir together remaining 3/4 cup peanut butter and powdered sugar until smooth. With floured hands, roll mixture into 26 (1 inch) balls. Break off about 1 tablespoon of chocolate cookie dough; make and indentation in center with thumb, and press 1 peanut butter ball into indentation. Wrap dough up and over filling, pressing to seal; roll to smooth it out. Repeat for each cookie. Dip top of each cookie in granulated sugar, and place 2 inches apart on lightly greased baking sheets. Use greased bottom of drinking glass to flatten each cookie to about 1/2 inch thick. Bake cookies at 375 for 7-9 minutes, or until set. Let cool on a wire rack. 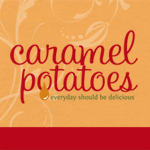 oh, my goodness–we love Buckeyes! I can’t wait to try this recipe. Thanks for sharing.